It’s starting to become time to get out your winter boots as the weather gets colder. 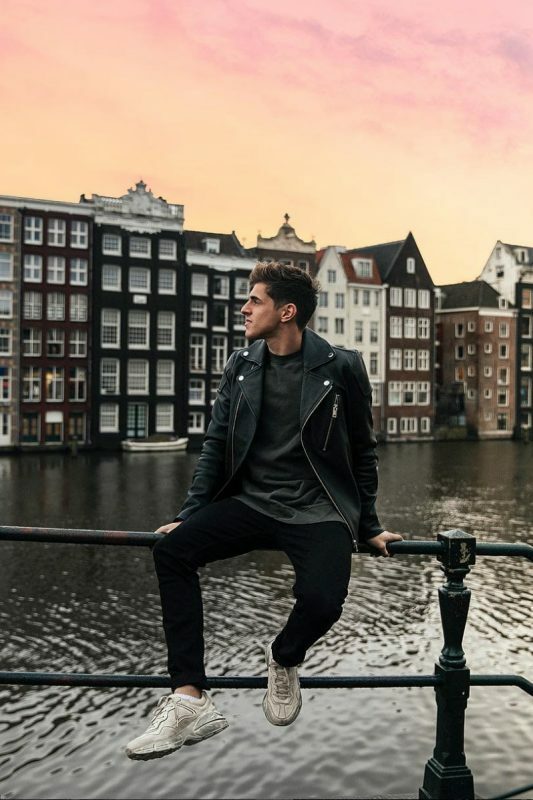 We have gathered some of the essential types of boots everyone should have and how to wear them. The best thing about all three types of boots is that you can wear them in many ways and dress them up and down. They make the perfect complement for any occasion. 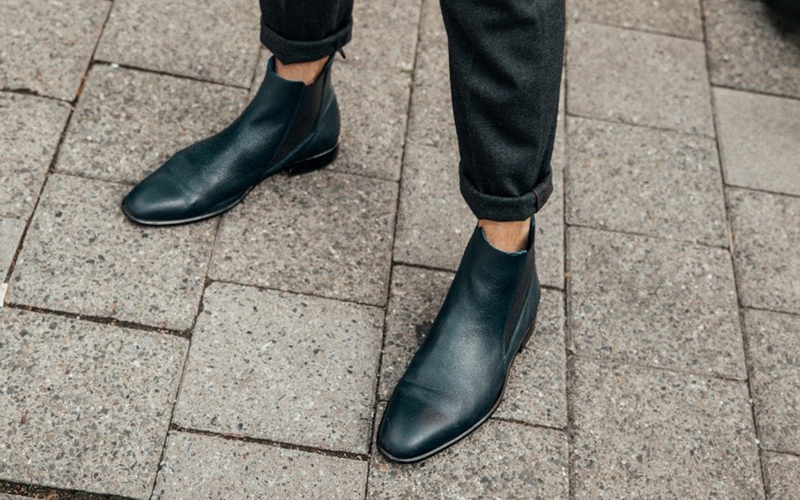 The Chelsea boot has been on trend for a few years now and they are here to stay. They give you a refined and elegant look while still being casual enough for everyday wear. I prefer getting leather ones just because they are more durable and last longer but it is hard to resist the luxury of suede boots. When wearing them make sure to roll up your pants so that you can see the whole top of the boot, making sure your pants don’t hang down onto the boot. These navy leather ones from Sacha Shoes are perfect for almost any outfit and will make a great addition to your collection. I like to think of them as the coziest of boots, these I would only buy in suede. They are more relaxed and are better for warmer winter days. Brown is always a good color to go with but if you are feeling more adventurous grey works great as well. 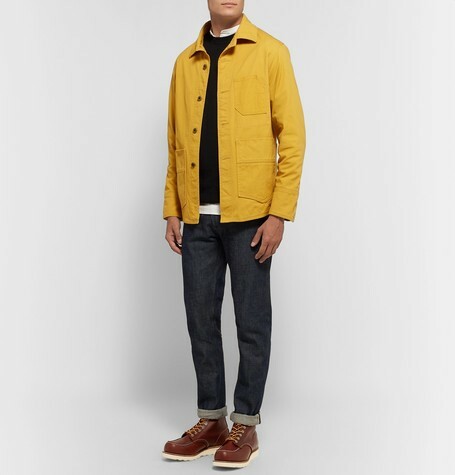 Combine it with your favorite sweater and thrown on a coat and you have a great late fall and early winter look. 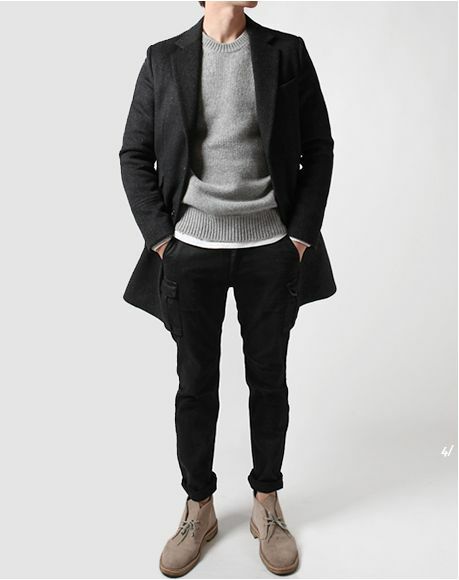 A wool coat works great, adding some texture and complements the suede boots really well. 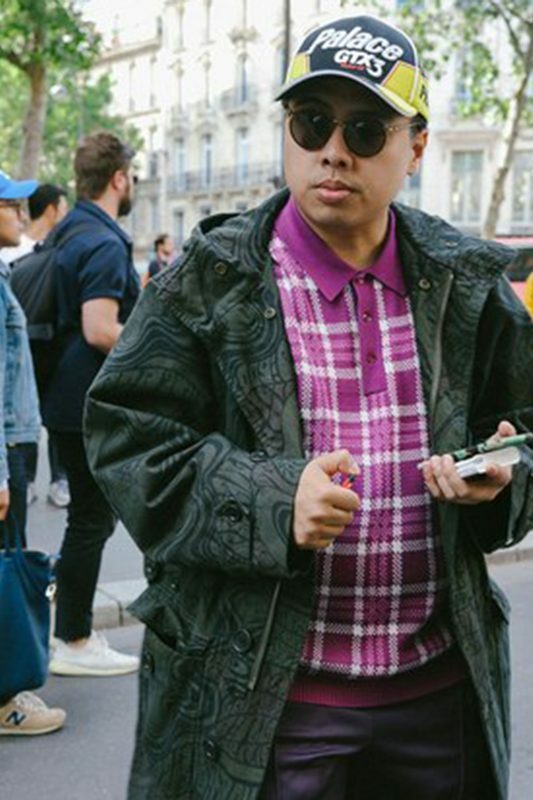 A trend that first popped up in women’s fashion has made its way into the realm of men’s fashion. A very characteristic shoe, this will sure to add a lot of appeal to your outfit. 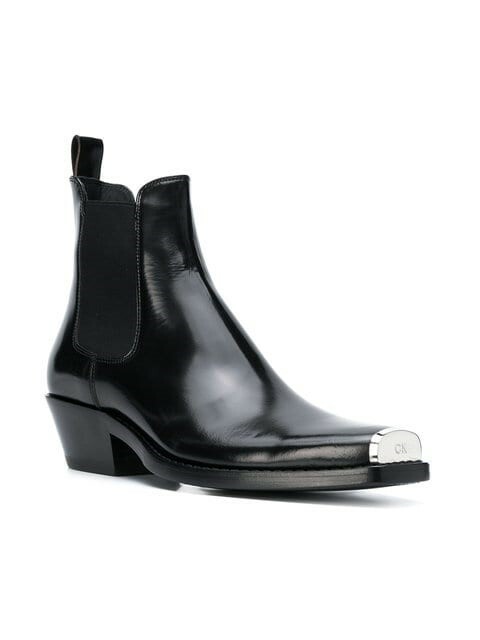 This one from Calvin Klein is an elegant take on the classic western boot. With a luxurious shine finish and a signature metal toe it really is a stylish and trendy take on a classic. The cowboy heel brings it to a new level, wear it with some high-end denim for a relaxed yet polished look. This is truly is a statement piece, that is a great purchase. For when the weather really gets cold and it snows bring out your lace up boots. For these I would definitely go with a leather material since you will be wearing it in more harsh conditions. These chunky dark brown boots from Red Wing Shoes are a great winter staple. 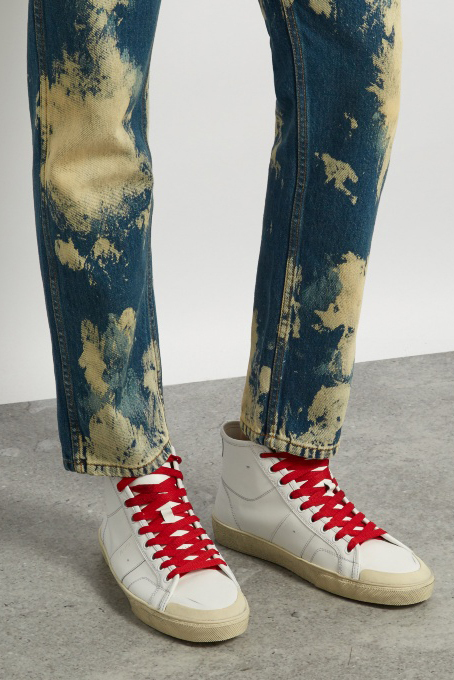 The contrast of the white sole and yellow shoelaces makes for an interesting color blocking. Wearing them with such a statement jacket makes them really pop. They are formal enough to be worn for an event or a night out, while practical enough to keep you warm and comfortable. 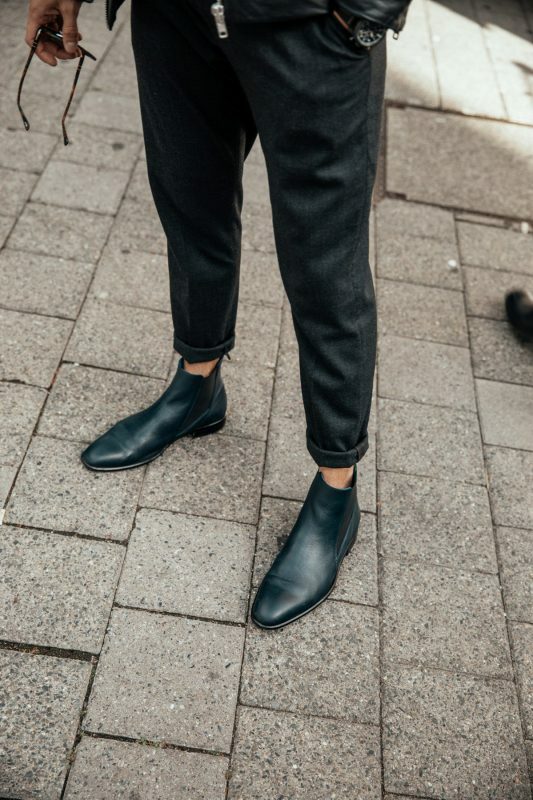 It really pays off to invest in a good pair of boots that you can keep wearing season after season.